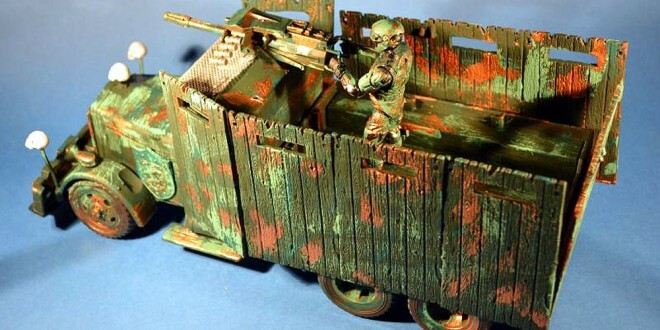 Custom Spotlight: HeelJoe’s Acid Rain Custom | The Fighting 1:18th! 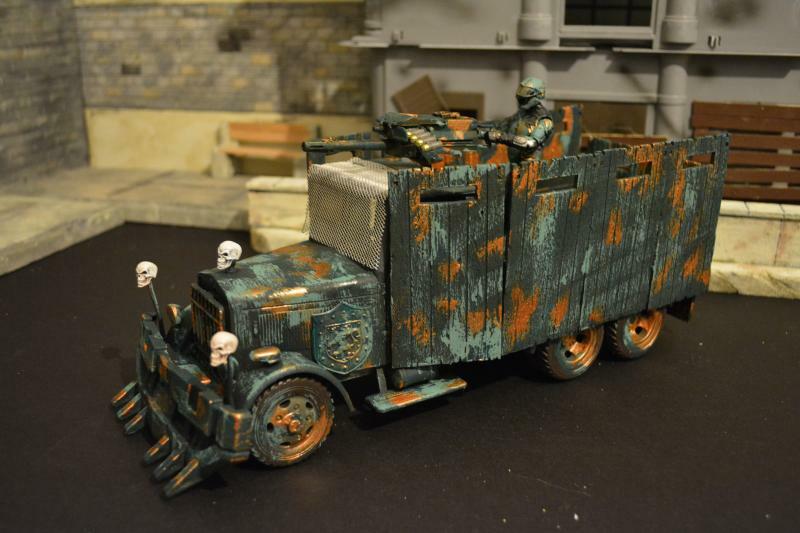 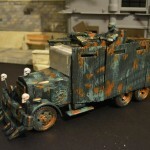 Continuing with the ever-popular Acid Rain theme, today we bring you this custom kitbashed vehicle by forum Officer HeelJoe. 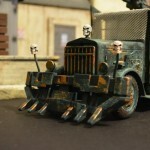 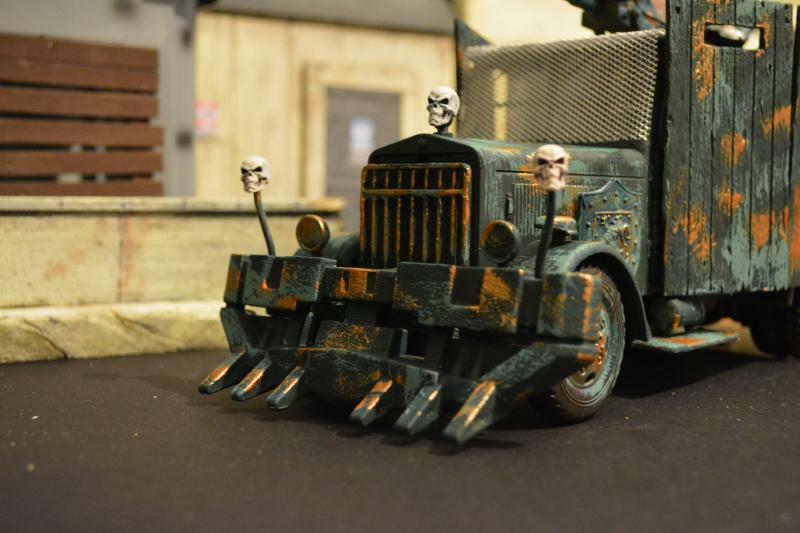 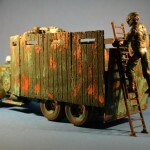 Using an Indiana Jones truck as a base, HeelJoe got creative with parts from other toy lines, such as M&C Toys’ Power Team Elite, Hasbro’s Rise of Cobra, and even Palisades’ Army of Darkness, to come up with this slick-looking gun truck – an Acid Rain World “technical”, if you will. 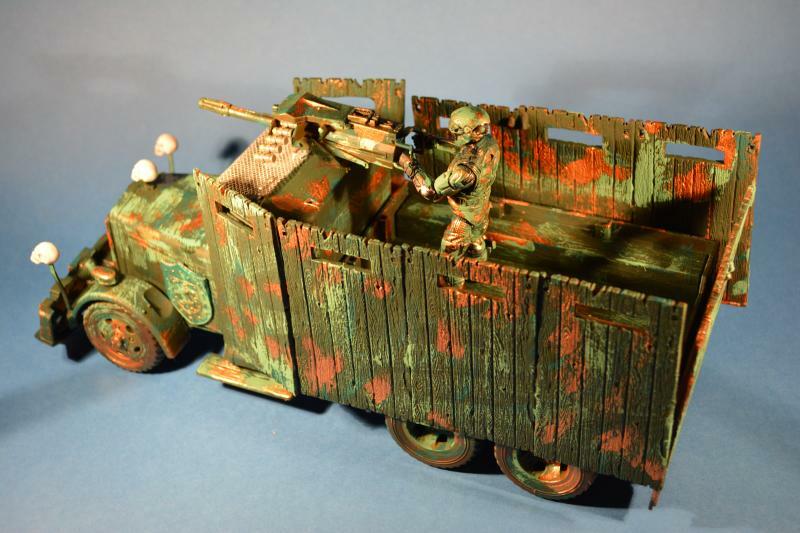 With a heavily-weathered paint job tying everything together, every piece looks like it belongs and (despite being an improvised fighting vehicle) nothing about this custom looks slapdash. 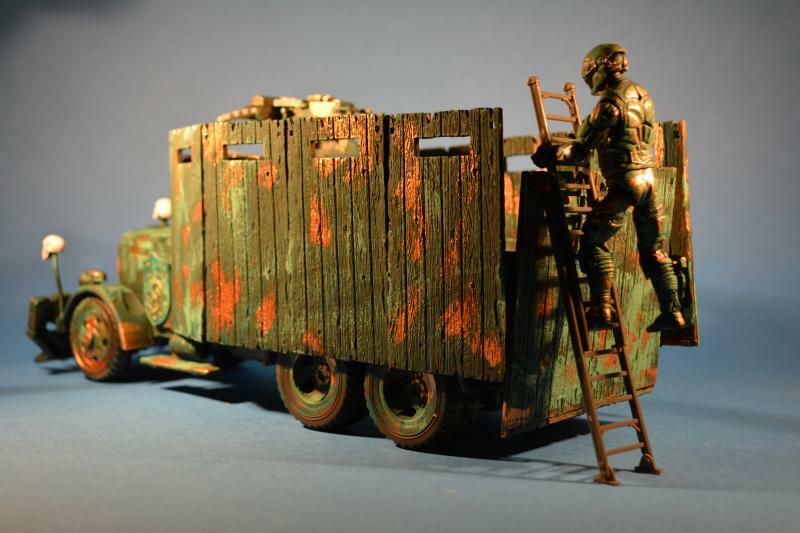 HeelJoe‘s original forum thread is here, so please feel free to head on over and leave him a comment or join in the discussion!